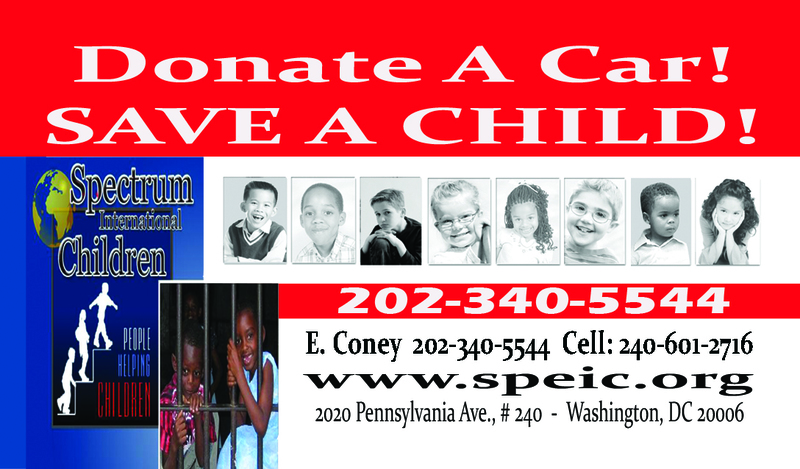 Are you a resident of Washington DC, Maryland, Delaware, Virginia, West Virginia or the Carolinas, looking to make a difference in a child life? You can donate a car, boat, truck or RV to help the underprivileged orphan children in need of support. If you want to make a donation of a vehicle, one in running condition or recently broken down, give us a call. All donors will receive free towing, a tax deduction and 24-hour customer service.